BRIGHTON, Mich.- During Preview Week at the Detroit Auto Show, Shelby American introduced to the world for the first time the new Shelby Ford Focus ST. 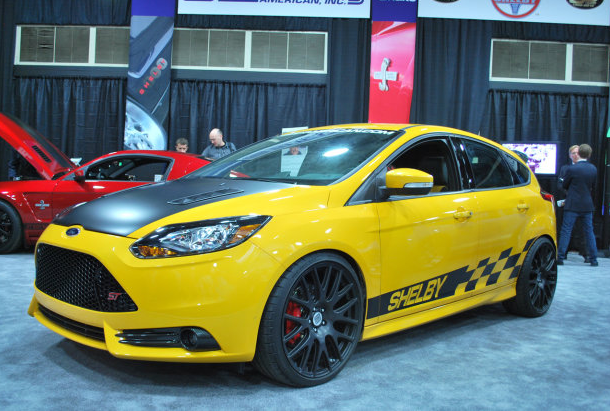 The 2013 Shelby Ford Focus ST Auto Show Debut shocked gear-heads around the world. 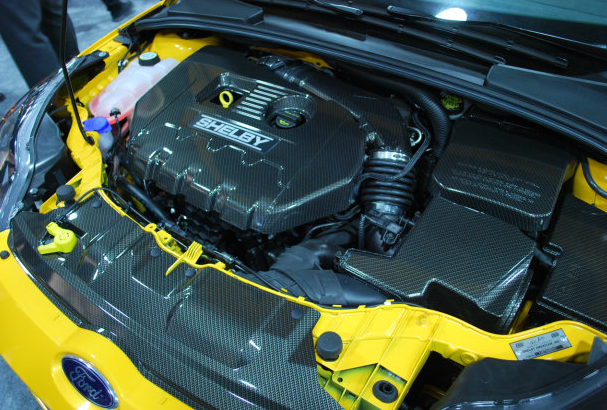 Shelby's new Ford Focus ST features an upgraded suspension, functional hood vents, larger breaks, and a larger exhaust. Although the new Focus ST doesn't produce any extra horsepower, it is equipped with a 2.0-litre turbo EcoBoost engine which adds some growl. If it's looks you're going for, the Hydrocarbon engine kit has the look of carbon fiber. The Shelby exterior upgrades for the Ford Focus ST include three appearance packages: classic racing stripes, competition-look complete with race numbers, or checkered flag splash. The carbon fiber look also highlights the rear spoiler and grille inserts. Inside, most of the ST's original interior is the same, except for the seats which have been reupholstered with exterior color matching leather and Shelby stitching in the headrests. 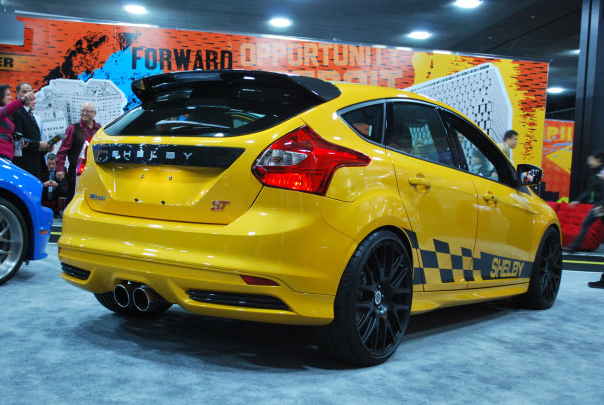 The 2013 Shelby Ford Focus ST, Debuted at Detroit's Auto Show, is truly one a kind in its class and style. To save on your very own Ford Focus, make sure to check out our Ford Focus A-Plan Pricing and Ford Focus Rebates. Brighton Ford is located at 8240 Grand River Ave. just north of I-96 in Brighton. We are a family owned and operated business that strives on customer satisfaction. For more information on Brighton Ford visit BrightonFord.com or give us a call at (800)-836-8206.